Kung Hey Fat Choy! Wishing everyone a prosperous and happy lunar year! We haven't been updating the blog for quite awhile as we were busy expanding our companines and working on different projects throughout the past couple years! 2018 had been challenging but we were glad to have many new members joining our family, as well as get to work on a lot of different projects. We are looking forward to the upcoming new challenges in the year of pig, wishing everyone a prosperous and happy new year! 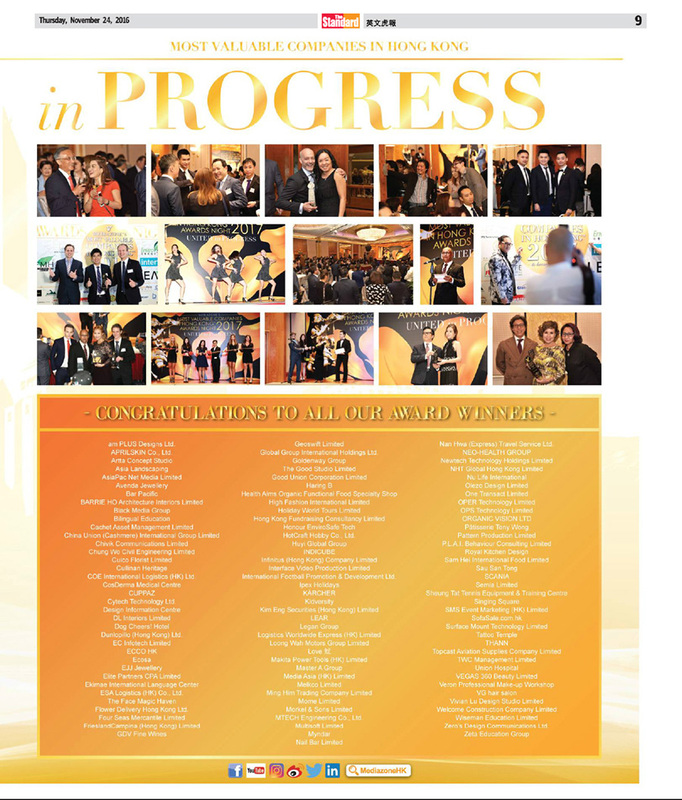 Last week, our director and marketing director of Black Media, Kenneth and Jingo took part in a truly amazing event. 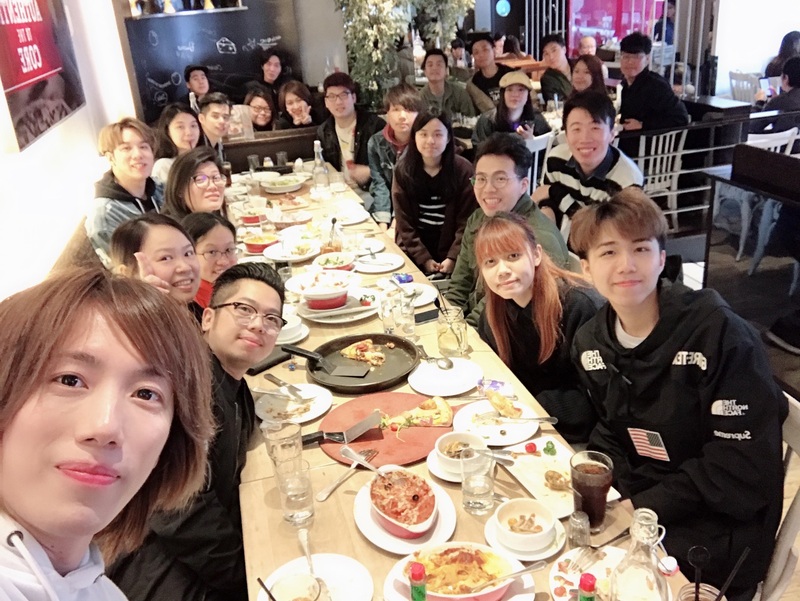 The HKBU Entrepreneurship Bootcamp 2018 invited them to be one part their special guest mentors. This 3- day event hopes to facilitate immersive learning for new a generation of entrepreneurs and we are so glad that we could take part. We wish all the participants good luck in their individual endeavors! 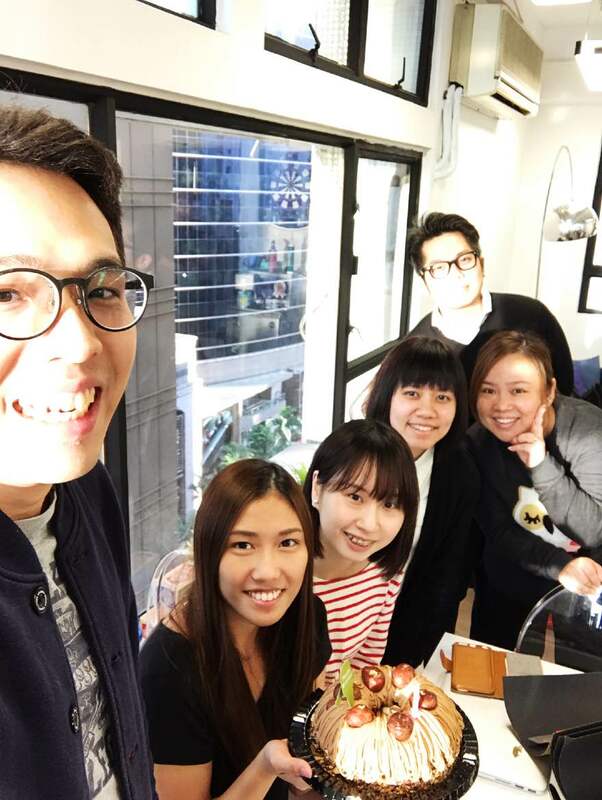 Previously a Principal Consultant at Citigate Dewe Rogerson's Hong Kong office, Jingo Chan has joined Black Media Group as a Marketing Director. 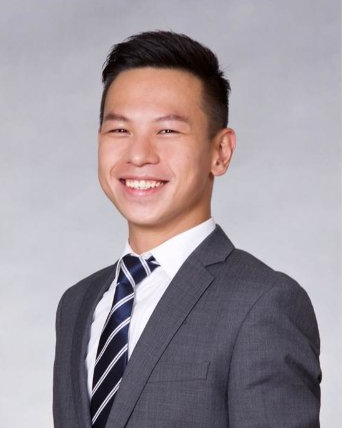 With nine years' experience in the financial comms industry, he/'ll help with business development and expand the company's reach into the financial community, especially by focusing on its investor relations. 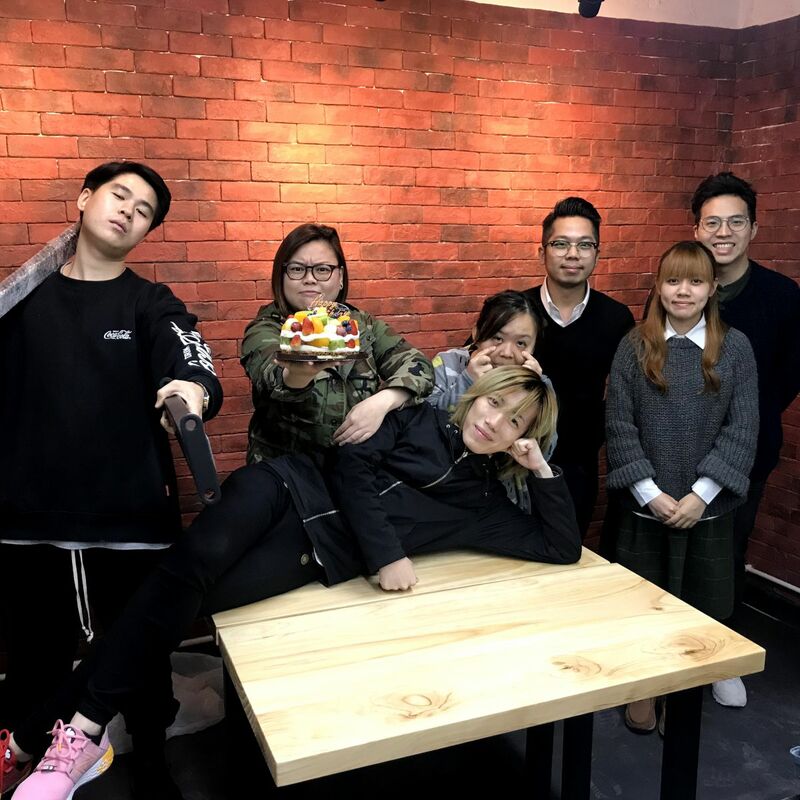 Connect with Jingo at jingo@bmg.com.hk and on (852) 3488 0762. Hey people~ We have moved! If you are travelling by MTR, please take Exit B, our building is right above the MTR station! Happy Holidays from Black Media! 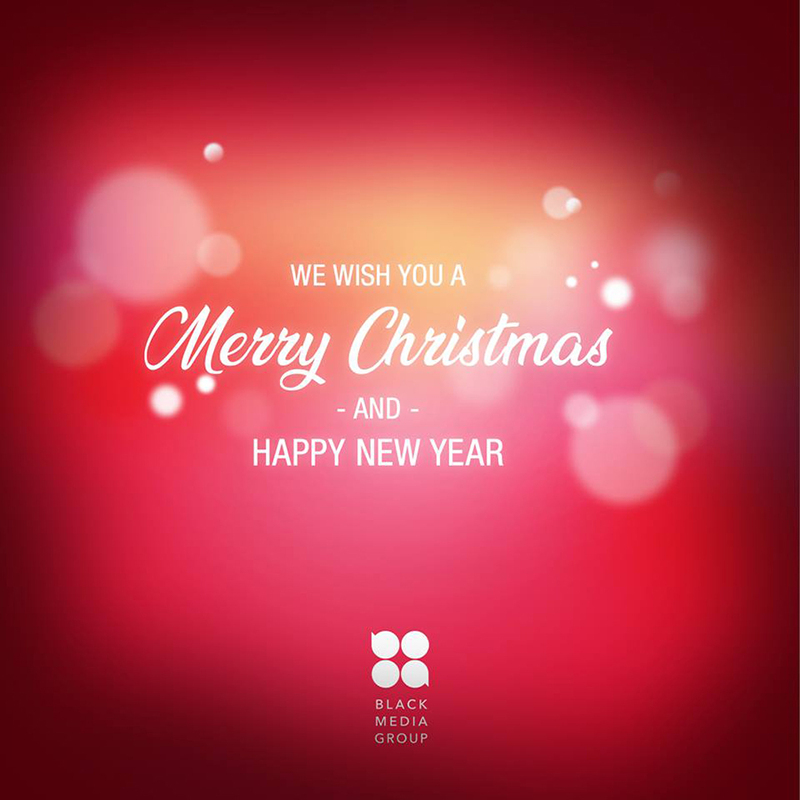 We wish you a Merry Christmas and Happy New Year! We would also like to thank everyone for your goodwill and great support throughout the past year, we look forward to meeting you in 2018! Our office will be closed from Monday 25th December, 2017 and will be opened on Tuesday 2nd January, 2018. 2017 has been a great year for us so far! 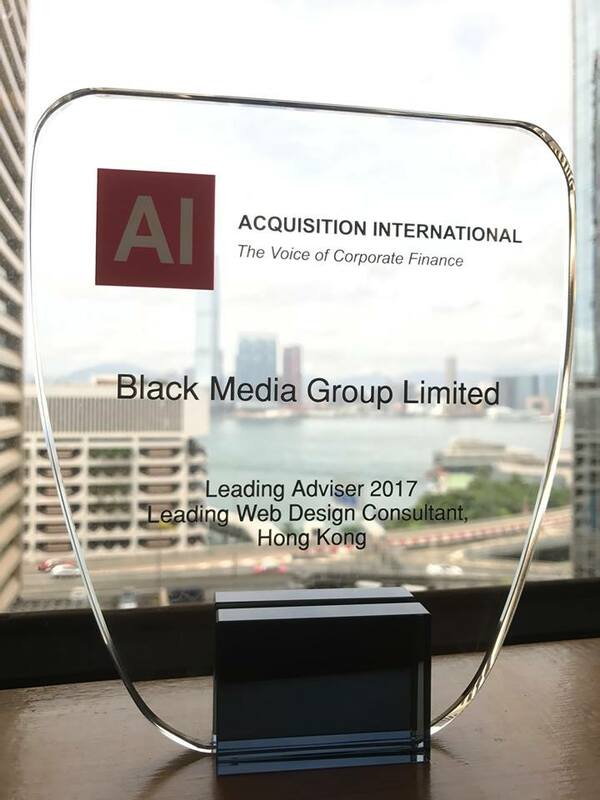 We have just received the Acquisition International - The Voice of Corporate Finance A Leading Adviser 2017 Awards for Leading Web Design Consultant! It was such an honor for us to receive this award! We would like to thank all our clients for the love and support and we will continue to work harder and provide even better service to all of you! 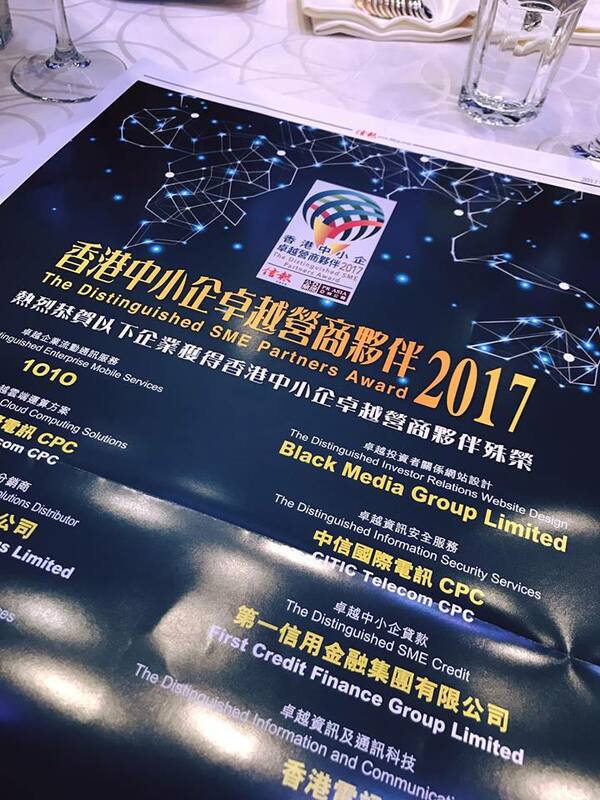 It is our pleasure to received the Distinguished Investor Relations Website Design Awards from Hong Kong Economic Journal/s The Distinguished SME Partners Awards. A big thanks to our clients for all your love and supports, we will work harder and push ourselves to the next level! At Black Media, it's a tradition to gather all our old & new staff and celebrate the Christmas by having a Christmas BBQ! It's always nice to what everyone has been up to like friends and family! 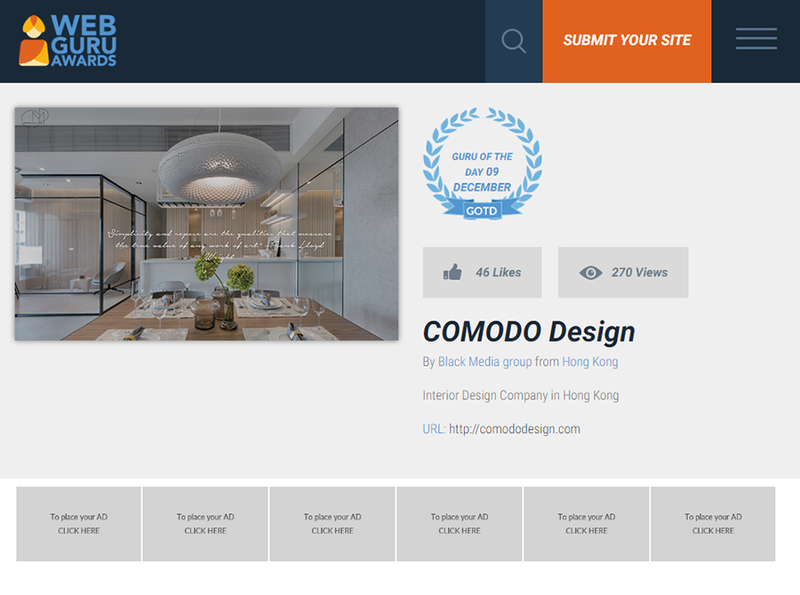 It was such an honor for us to see one of our web design project - COMODO Design - receiving the "Guru of the Day Awards" in December! We would like to thank Comodo for believing in us once again, and a big thank you to all of you out there for your great support, we will continue to work harder and provide an even better service in 2017! It was such an honor that we received the Most Innovative Web Solutions Awards 2017! We would like to give the biggest thanks to our clients for believing us, all of your supports help us improving ourselves and take things to a higher level everyday! Director Kenneth Wan receiving the Most Innovative Web Solutions of the Year Award at the MVC in HK Awards Night 2017. Director Kenneth Wan & Senior Programmer Bao Chu at the event. 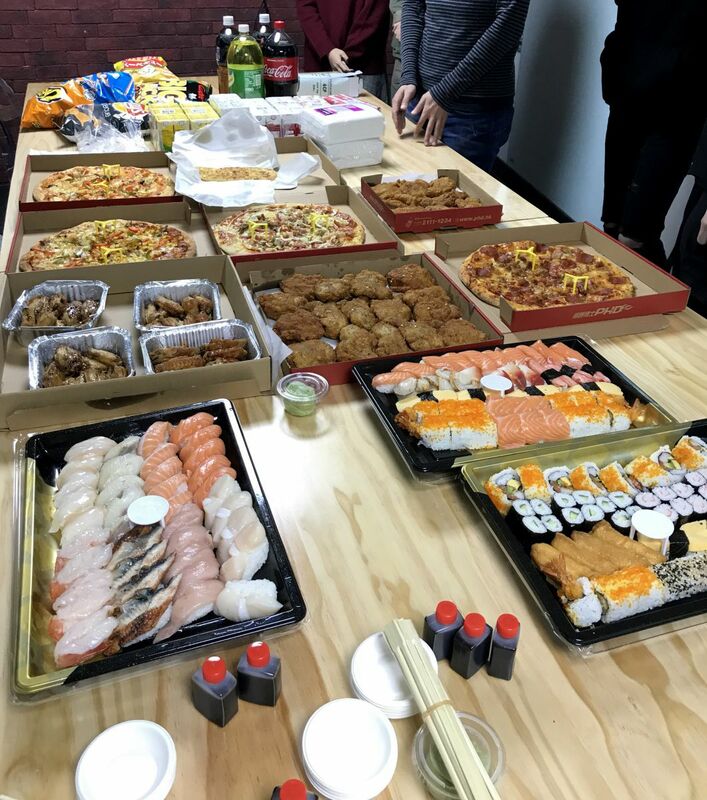 First Birthday Celebration after we Moved to this New Office! 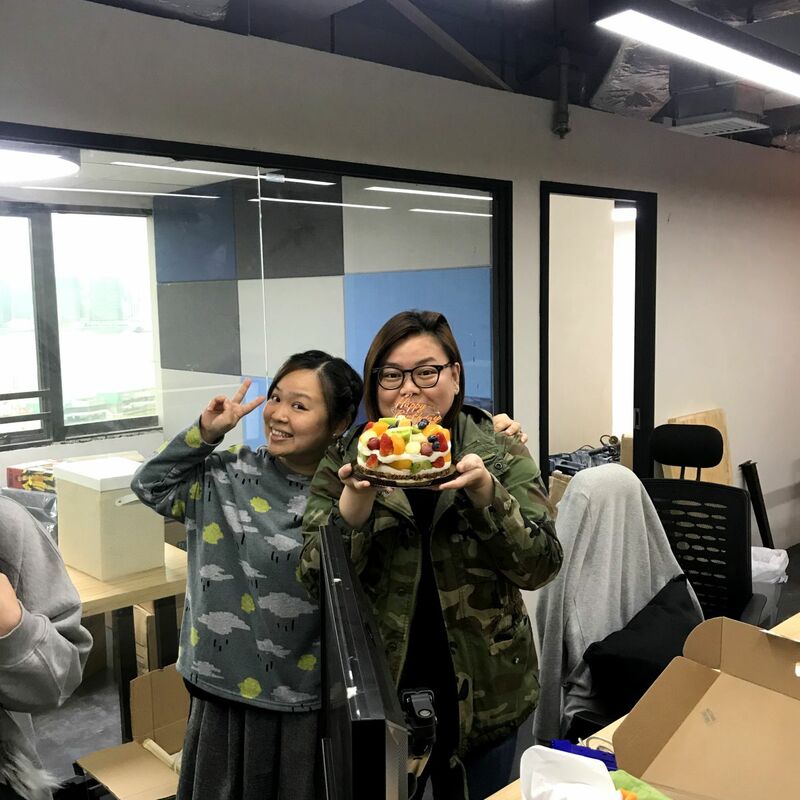 Our first birthday celebration after we've moved to this new office at Ngan's House! Happy Birthday to our senior designer Kaylie! The internet has become an essential part of our life while computers and smartphones are indispensable daily tools. As a result, many companies have realized that e-commerce and online websites are important for doing business. This has given rise to a growing demand for web design. This is what led Kenneth Wan, Business Development Director of Black Media Group, to quit a marketing job seven years ago and start his own business. 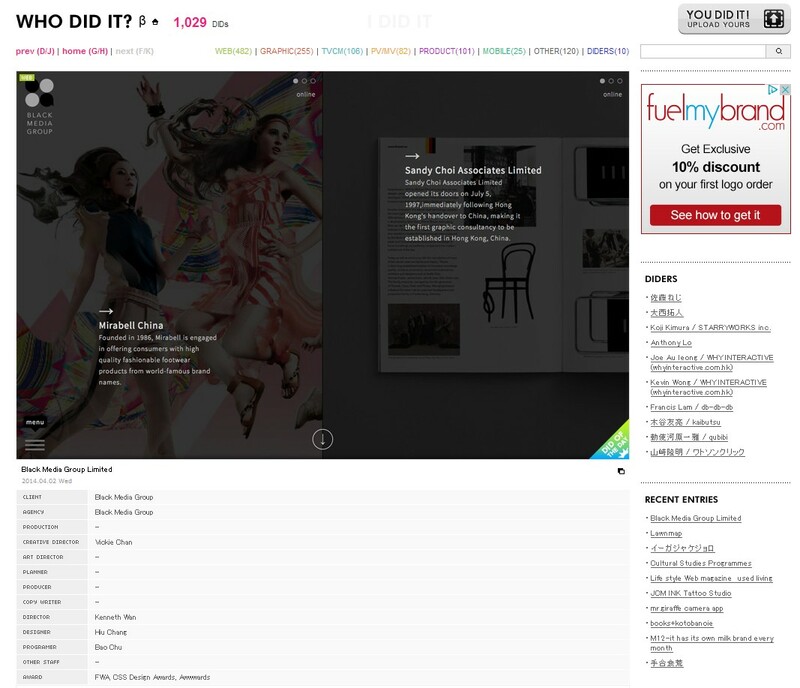 Some companies have already recognised that a stylish website with attractive effects is beneficial for their business. 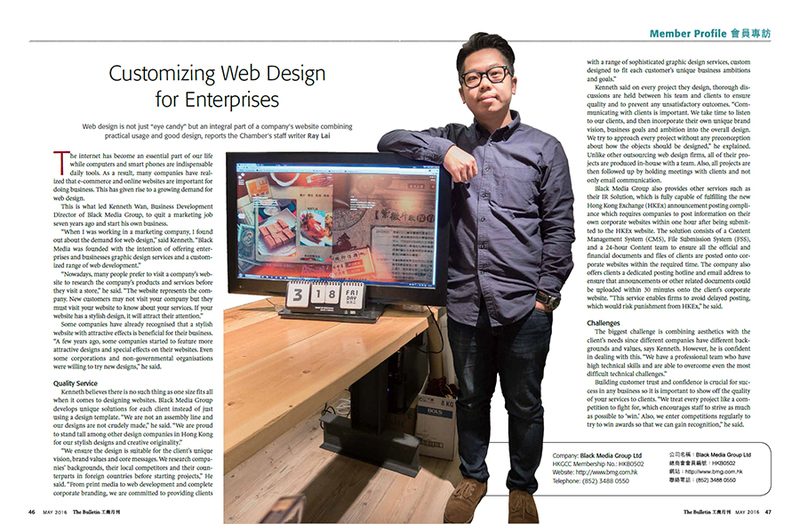 “A few years ago, some companies started to feature more attractive designs and special effects on their websites. Even some corporations and non-governmental organisations were willing to try new designs,” he said. Kenneth said on every project they design, thorough discussions are held between his team and clients to ensure quality and to prevent any unsatisfactory outcomes. “Communicating with clients is important. We take time to listen to our clients, and then incorporate their own unique brand vision, business goals and ambition into the overall design. We try to approach every project without any preconception about how the objects should be designed,” he explained. Unlike other outsourcing web design firms, all of their projects are produced in-house with a team. Also, all projects are then followed up by holding meetings with clients and not only email communication. 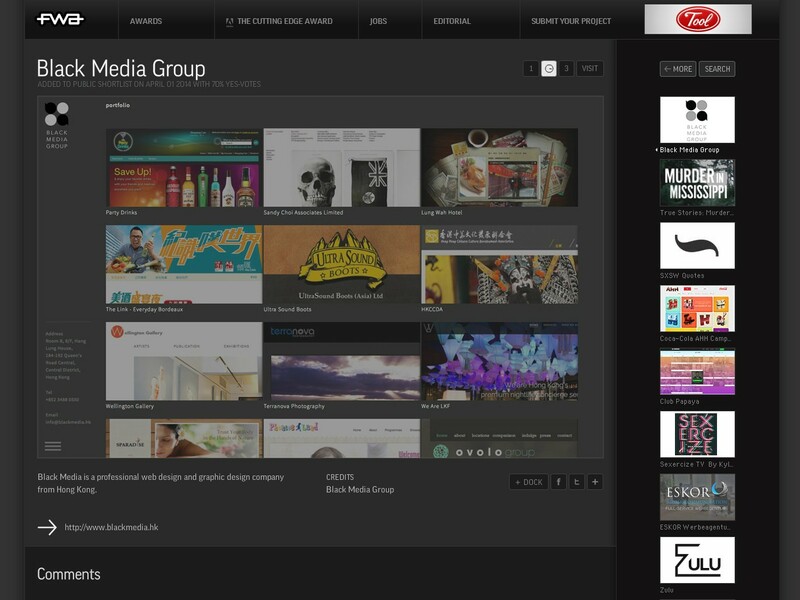 Black Media Group also provides other services such as their IR Solution, which is fully capable of fulfilling the new Hong Kong Exchange (HKEx) announcement posting compliance which requires companies to post information on their own corporate websites within one hour after being submitted to the HKEx website. The solution consists of a Content Management System (CMS), File Submission System (FSS), and a 24-hour Content team to ensure all the official and financial documents and files of clients are posted onto corporate websites within the required time. The company also offers clients a dedicated posting hotline and email address to ensure that announcements or other related documents could be uploaded within 30 minutes onto the client's corporate website. 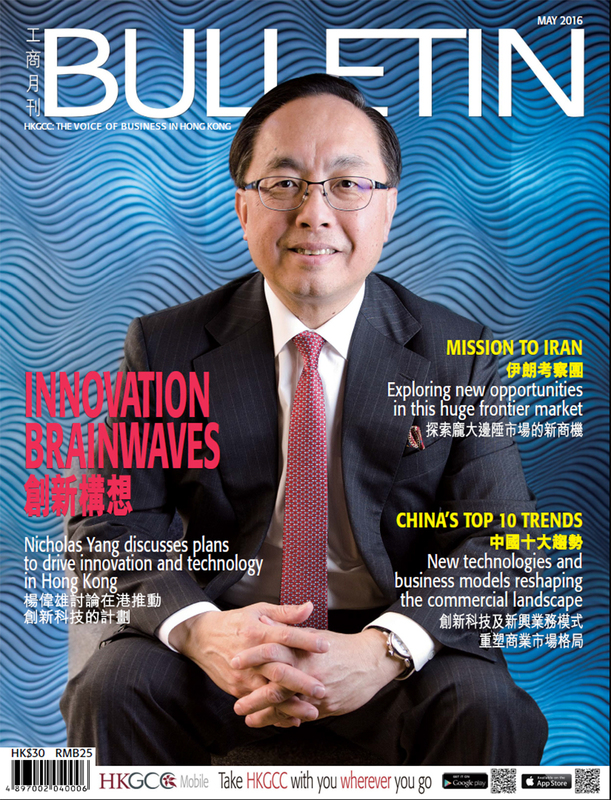 “This service enables firms to avoid delayed posting, which would risk punishment from HKEx'he said. Building customer trust and confidence is crucial for success in any business so it is important to show off the quality of your services to clients. “We treat every project like a competition to fight for, which encourages staff to strive as much as possible to win. Also, we enter competitions regularly to try to win awards so that we can gain recognition,” he said. 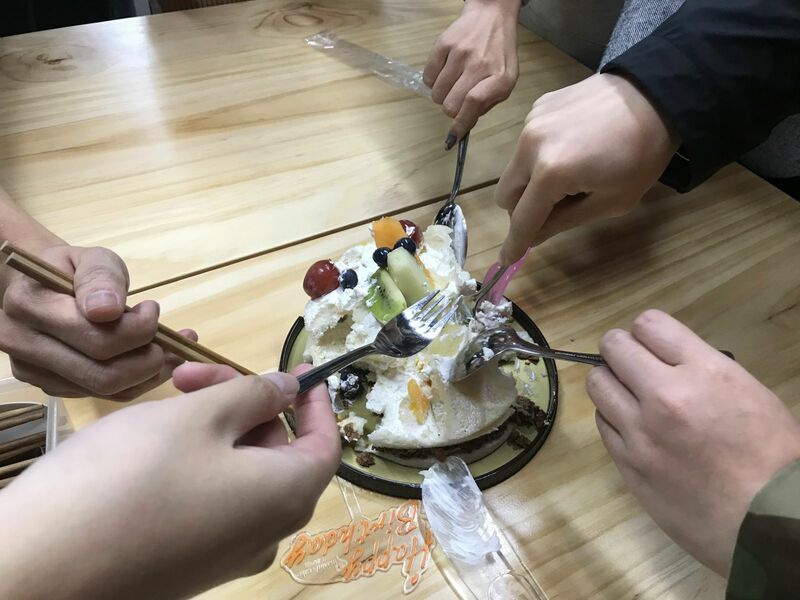 Today is the last day of work in the year of sheep at Black Media, to celebrate the new year of monkey, we decided to prepare some Fai Chun (Chinese greetings for good luck and prosperity for the new year written on papers) before the holidays. Hereby we would also like to wish everyone a Happy Chinese New Year! Kung Hei Fat Choi! Celebrating the birthdays for staff who were borned in November! 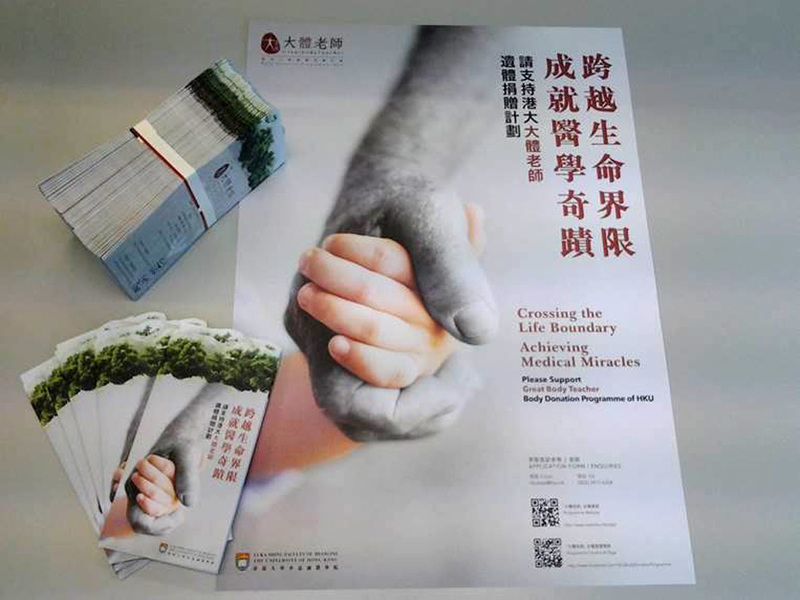 It is always a pleasure to work to HKU especially the BDP department, here is the lastest work we did for them (Hong Kong University Body Donation Programme) - Exhibition Stand, Pamphlet & Poster. *If you support body donation, please discuss your decision and will with your family so that they know about and respect your wishes! The above photo was sent from our client when they received the print sets. 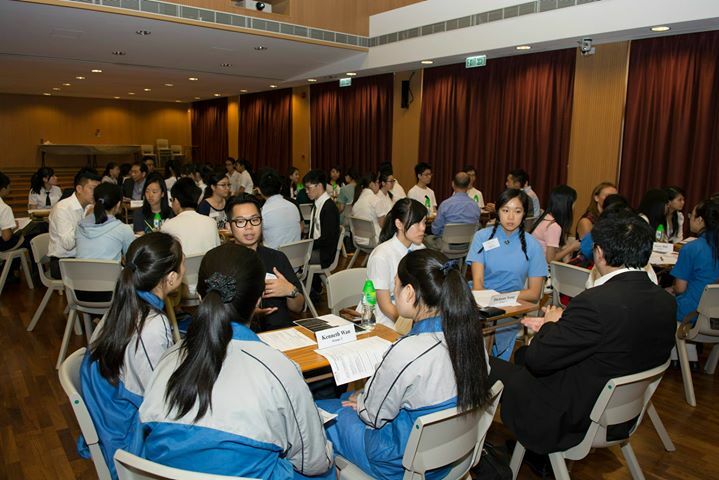 Our director Mr. Kenneth Wan was a member of HKGCC (Hong Kong General Chamber of Commerce) and had a career sharing for secondary students at Munsang College on Friday 10th July. Our Second Did Of the Day Awards! Congratulations team! We just got our second "Did of the Day Awards"! It is such a motivation for us to bring our work to the next level. Thank you very much everyone! 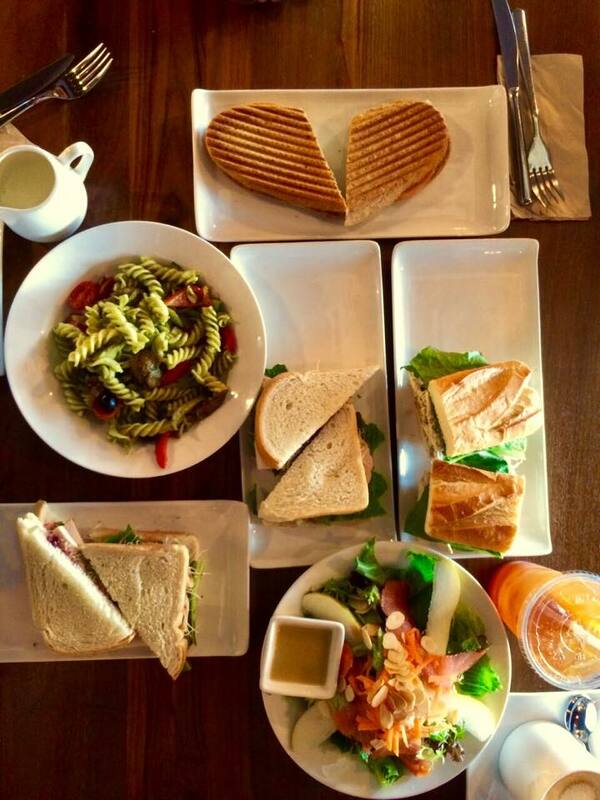 Your hard work had been paid off! Let's keep it up and have great fun along the way! 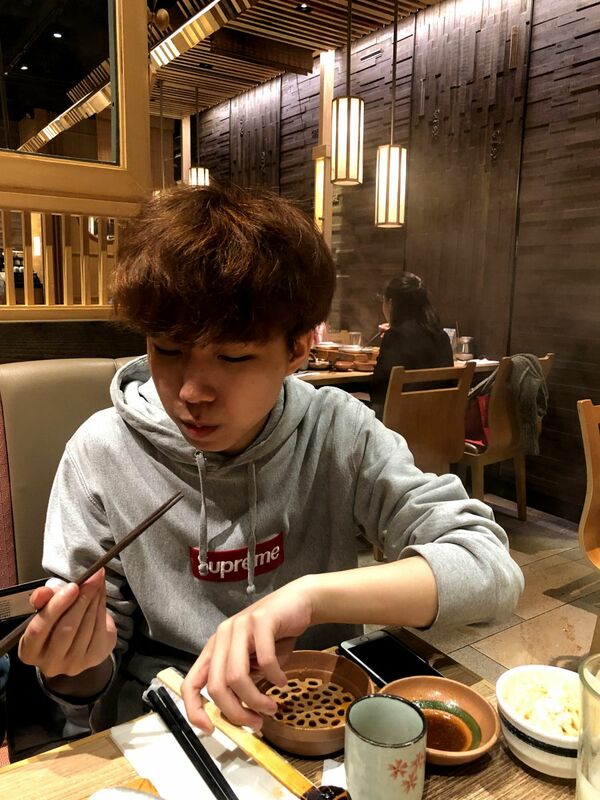 Thank you very much and your love and support is always the motivation for us to take it to the next level. 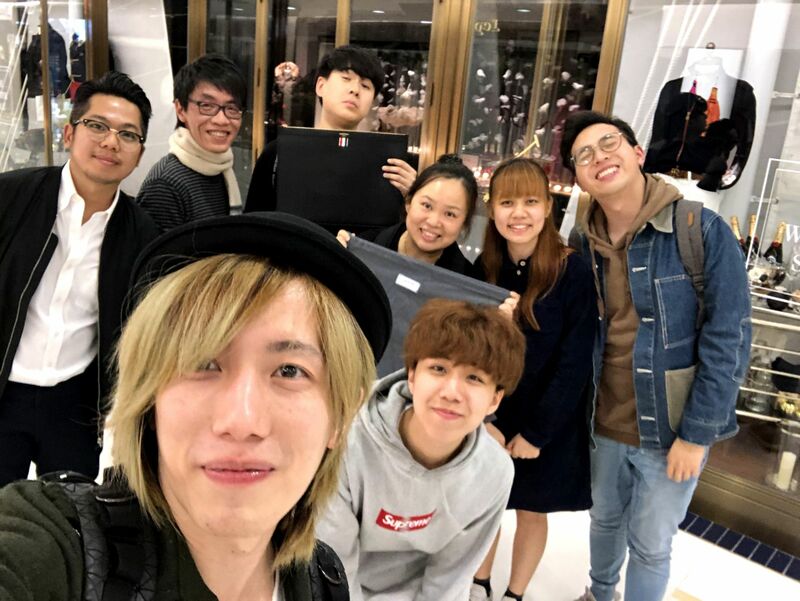 Lately we had been working on the Great Body Teacher project with HKU Faculty of Medicine, it was such an hornor for us to recieve an email from them stating that they're happy for having a beautiful background (The Easy Roller) for their interview with RTHK. On the other hand, we would really want to thank our client for their appreciation with our work, that is the biggest motivation for us to work harder to the next level! 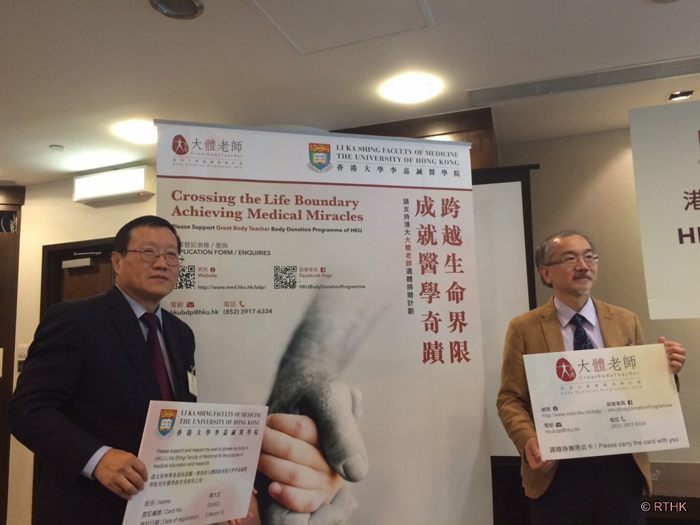 We would also like use to opportunity to ask you to please support HKU's Body Donation Programme, as it's very important to education and research in healthcare professions, and eventually to the bettterment of human health where every single of your support makes a big difference. Thank you for your Moët & Chandon! 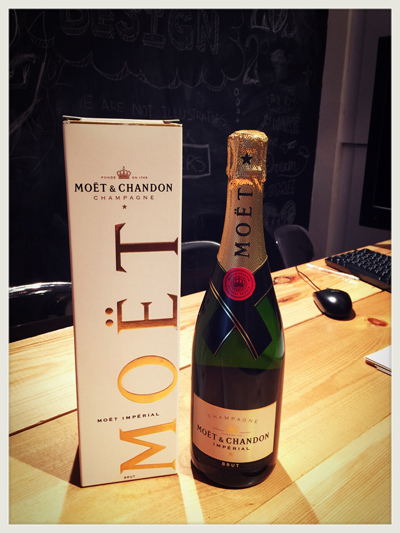 Just received this wonderful gift from our client Edith! Thank you very much and it's our pleasure to work with you! Had a great Xmas lunch with our team at Trees! 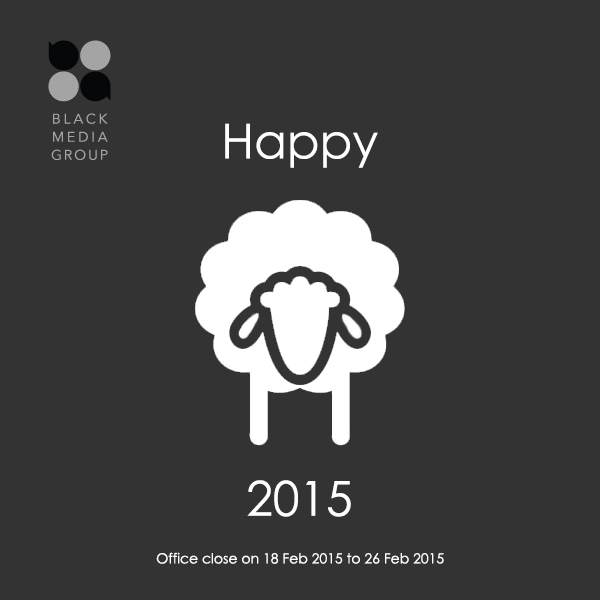 Thank you for all your support in 2014! 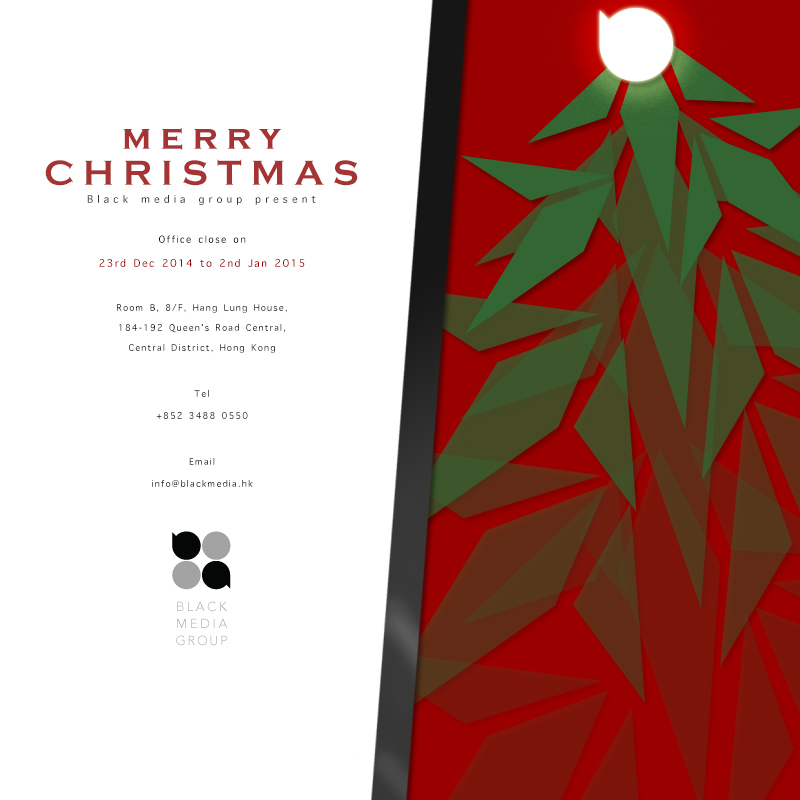 Our office will be close on 23rd Dec 2014 to 2nd Jan 2015. 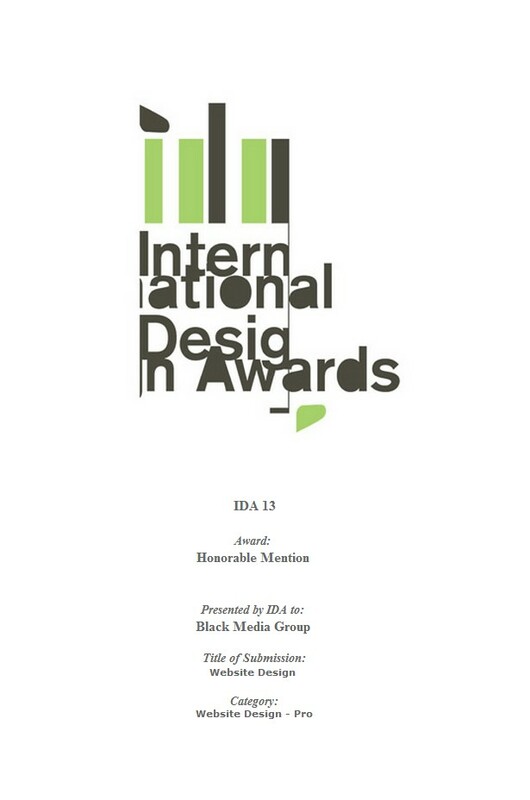 We are proud to announce that we're now won Honorable Mention title in this year IDA International Design Awards. We would like to thank everyone for your love and support! Did Of the Day Awards! Congratulations team! We just got our first "Did of the Day Awards"! This might not be the biggest award around in our industry as some of you may think but it is such a motivation for us to bring our work to the next level. Thank you very much everyone! Your hard work had been paid off! Let's keep it up and have great fun along the way! 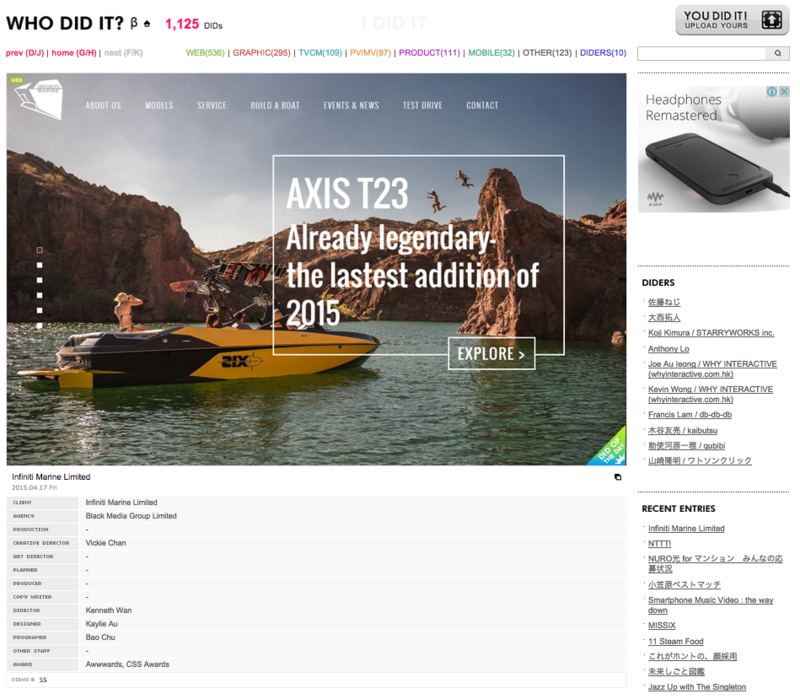 We are proud to announce that we're now shortlisted in FWA! We would like to thank everyone for your love and support! Copyright © 2017 Black Media Group. All Rights Reserved.